If you need 3D objects there’s Shapeways, Cubify, Ponoko, Thingiverse [http://www.thingiverse.com/], 3DLT, and plenty of other 3D object repositories. If you’re looking for some modeled object you can probably find it on one of those sites. 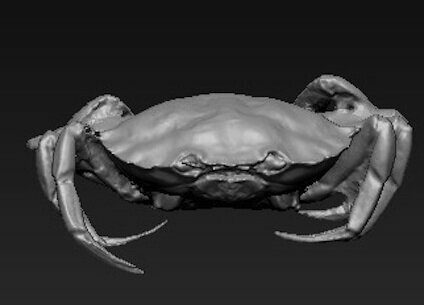 But that’s the thing, they’re great for modeled objects; there aren’t too many 3D scans to be found. For those that want to-scale renderings of real-world objects, there’s Forme. The Forme library is unique in that it holds 3D scans. The designs are very detailed, and instead of being in .stl format, they all come in .obj format. This means you can modify them as you please. The References section includes some models that would serve as great decoration pieces. The Shells get fairly intricate. The Bones can be useful for education or adding a touch of macabre to a studio. The Sea Creatures can creep out your siblings.